Welcome to Tignes Val Claret, in our self catering accomodation with a great view on Grande Motte Mountain. We wish you a pleasant visit on our website. The apartment has been completely refurbished in 2013 with wood and slate materials. The balcony in the living room is south west facing. It includes a master bedroom, a sleeping area with bunk beds and a sofa bed. This two-room apartment with an indepedent sleeping area offers 452 square feets. It is located on the fifth floor with an elevator in Curling B residence. 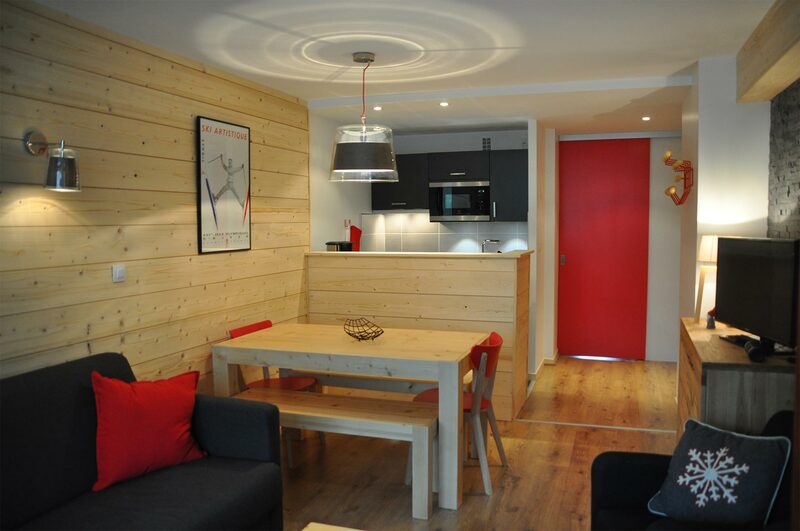 Our accomodation is close to shops, slopes, ski school and ski lifts. 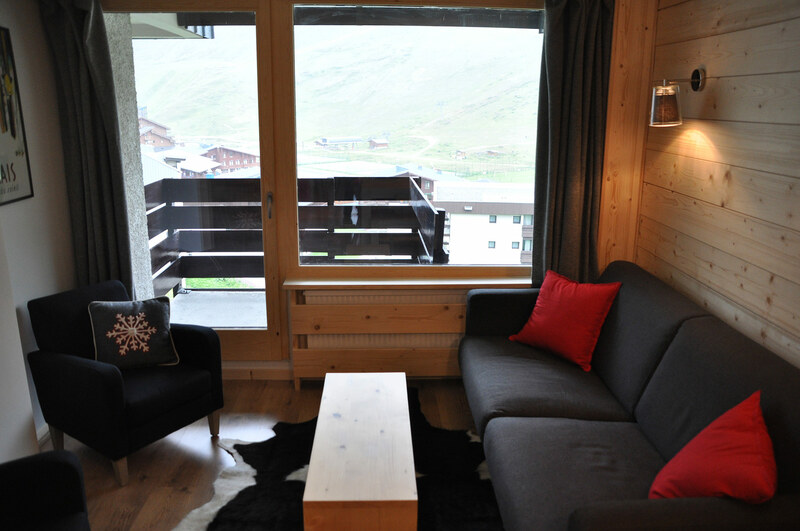 The apartment got the 3 Pillows award, Tignes Comfort classification. 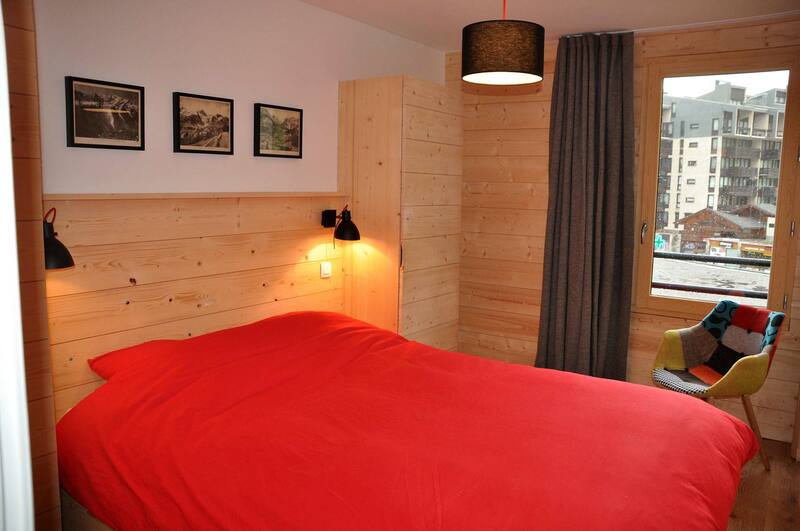 This accomodation, located in TIGNES VAL-CLARET, has been completely refurbished with all modern conveniences following the simple and design style of the Alps. DID YOU ENJOY THE VISIT ? CONTACT US. If you wish to see more pictures, visit our Gallery.